This gorgeous Lopi ‘Large Flush Wood Hybrid-Fyre’ fireplace insert will fit into many fireplace openings and is approved for both masonry and zero clearance fireplaces. It has a huge single cast iron door, giving the unit over 2,000 sq. centimetres of glass viewing. It comes standard with twin convection fans to increase heat output and efficiency and has a large fire box that will accommodate a 61cm log! It features the exclusive clean burning Hybrid-Fyre Technology, which leaves virtually no smoke to exit the appliance, so this is a super clean burning insert with emissions of just .90 grams with hardwood. With this reduction in emissions, comes almost zero carbon monoxide remaining through all the burn cycles. This translates to more heat from less wood and greater savings on your heating cost. 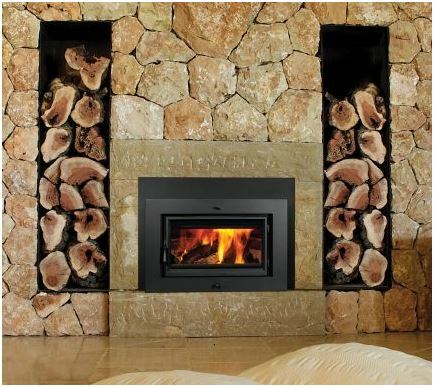 Tomlinson Plumbing is your local Master Plumber and we can assist with the installation of your wood heater and flue in Geelong, Torquay, Barwon Heads, Ocean Grove & surrounding areas.